(UPDATE 5/20/2014) Possible culprit: kitty litter. See my new post. And it was a container from Los Alamos National Laboratory (LANL). The first report of radiation leak (plutonium) from the Waste Isolation Pilot Plant (WIPP) that necessitated the evacuation of workers and plant shutdown was in February this year. 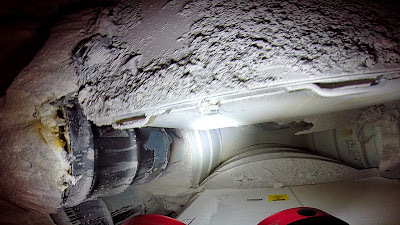 Since the February 14 radiological release, the Department and its Waste Isolation Pilot Plant have been working deliberately to safely determine the cause of the release. The team that entered the underground facility yesterday was able to get additional visual evidence that shows a damaged waste container, identified as one from Los Alamos National Laboratory. In the new pictures, the LANL container has a cracked lid and shows evidence of heat damage. Workers will continue investigating to determine what caused the container breach and if any other containers were involved or damaged,” said a DOE spokesperson. May 20 – A WIPP Recovery update will be provided at the Economic Development Corporation of Lea County Annual Meeting. The update, which will be provided by a member of the NWP Communications team, is scheduled for 11:30 a.m. Location: Hobbs Country Club, 5001 W. Carlsbad Highway. May 22– The City of Carlsbad and DOE will co-host its weekly meeting featuring updates on WIPP recovery activities. The meeting is scheduled today at 5:30 p.m. Location: Carlsbad City Council Chambers, 101 N. Halagueno Street. Live streaming of the weekly meetings can be seen at http://new.livestream.com/rrv/. "The May 15 entry into Panel 7, Room 7 produced this photo of a waste container (left) with its lid unsealed and apparent heat discoloration." There is a video of re-entry to WIPP on May 15, 2014. According to Japan's NHK reporting on the DOE update, it may take at least three years before the facility resumes operation. (OT) Head and Shoulders Topping Pattern in Japan's Nikkei Weekly Chart? 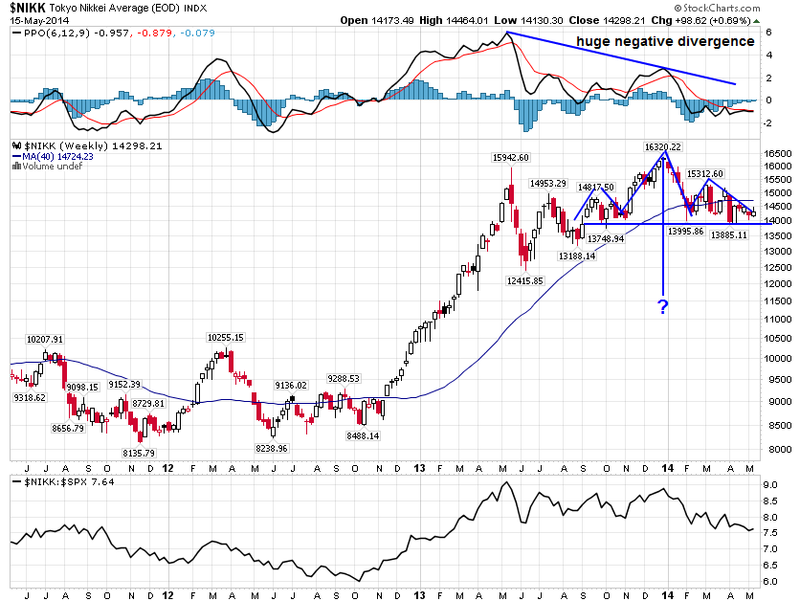 Uh oh... Is about the only "success" story of so-called "Abenomics", Nikkei Stock Index, in danger of collapsing? If this "head and shoulders" topping pattern (10 months in the making) plays out, the target seems somewhere below 11,500. There is not much of a support until 10,200 or so. I'm sure Bank of Japan's Governor Haruhiko "wages are rising even as they are falling for 22 months" Kuroda will do whatever it takes to prop up the market. Or in this new normal world, the topping pattern is actually bullish, signaling the central bank's intervention and sending the stock market even higher. "...very grateful for the chance to see. It is hard to visualize and understand the complexity of the challenge when you just read about it. So this was a very informative visit, and I'm very grateful to all those who are working here every day and those who showed us around." "We stand ready to help in any way we can, going forward." 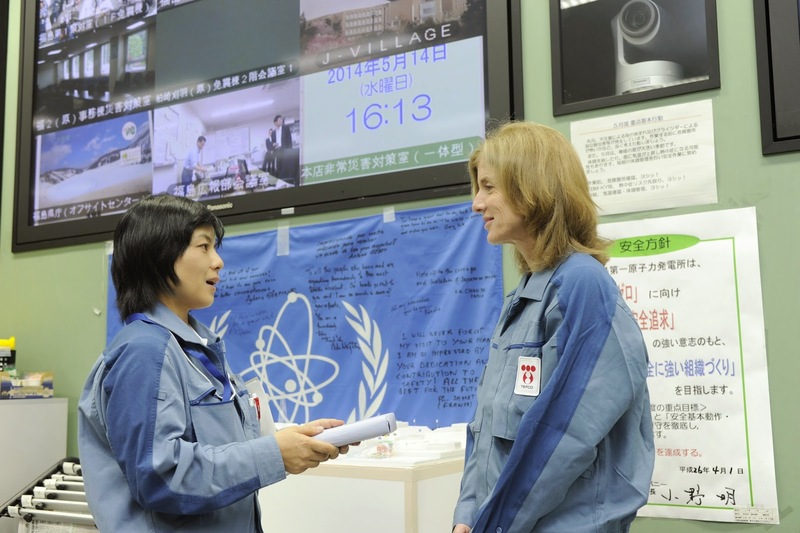 Power Company and relevant Japanese government authorities for making this visit possible. I gained new appreciation for the dedication and determination of the workers at the Fukushima site. 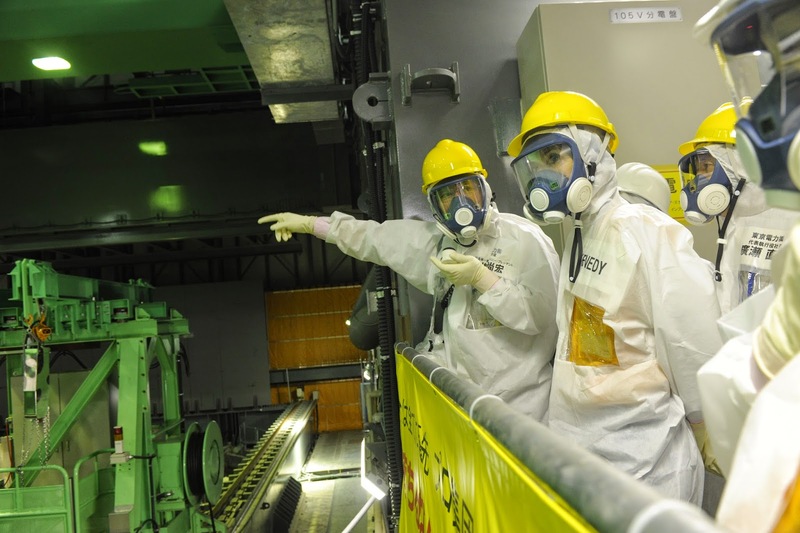 continuing partnerships between TEPCO, U.S. Government agencies, U.S. national laboratories, and U.S.
and other international firms to add their expertise to Fukushima cleanup and decommissioning efforts.